Terrified about your child with allergies starting school? My daughter is 9 years old now, but she has had severe allergies to nuts, dairy, eggs, shellfish, and sesame since before she even started eating solids as a baby. And according to latest reports, at least 1 in 10 babies will develop potentially life-threatening allergies before they are 1 year old. So I know I’m not the only allergy mama out here and it’s mind-boggling! 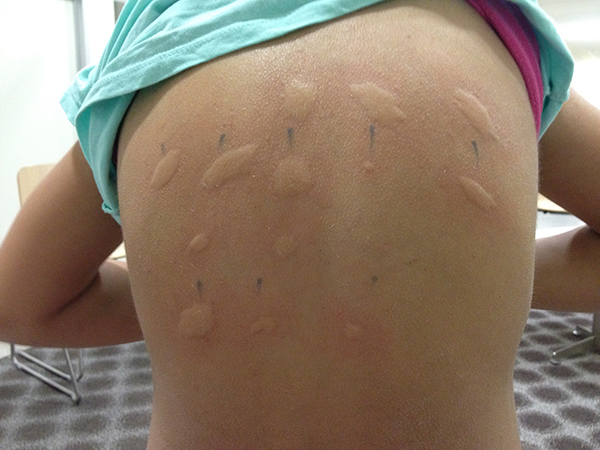 This was the results of my girl’s contact allergy test and these results completely overwhelmed me. How was I to help her stay safe at school? She did not have to actually eat any of these allergens to react to them… simply touching a toy or surface that someone else had touched before (who had just eaten, for example, a hard-boiled egg and did not wash their hands carefully) would cause her to react severely. It was, and still is, incredibly stressful! Well, I’m happy to say that we’ve survived (so far!) and she is thriving at school. I just wanted to share two other real-life & practical pieces of advice that we have learnt and that have helped us over the years. First, celebrations and treats. 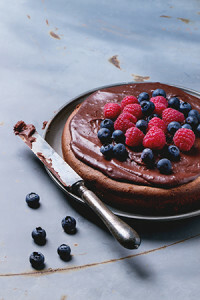 Have you ever had dairy-free & egg-free cake before? Before my daughter was diagnosed, neither did I! And when we first started trying dairy-free & egg-free cakes, it was shocking. They didn’t taste like cake! When my daughter started kinder and school, celebrations were tough. No child wants to feel left out because of something that’s not within their control. And as a mum, I felt terrible that she had to miss out. Cream the spread, sugar, and vanilla essence until light and fluffy. Separately blend cocoa in the hot water. Gradually add this to the spread and sugar mix. Sift the flour, baking powder and bicarb soda and add it gradually add it to the creamed mixture alternating with the soured milk. Mix thoroughly. Spoon the cake mix into a greased and floured 8″ cake pan and bake in a moderate oven (180*C) for 30-40 mins or until the top springs back when pressed lightly. Allow the cake to cool in the tin for 10 mins. Turn out and allow to cool before icing. Ice with your favourite icing. (It’s not necessary but if you can wait, the cake matures and cuts better the second day). Second, uniforms. My child also suffers from eczema and severe itching, and one thing that has really helped, was 100% cotton uniforms. Most school uniforms have a very high polyester content, which can really irritate the sensitive skin of children who suffer from eczema, psoriasis, dermatitis, and other skin conditions. I highly recommend dressing your child in uniform clothing made from 100% cotton to protect their skin and help them avoid unnecessary discomfort when they should be focusing on playing and learning at school. After all, they wear their uniform any where from 6 to 12 hours a day – that is a very long time to be wearing clothing that can cause eczema flare-ups and skin irritation. Need more convincing? Here are a few more benefits to using 100% cotton. 100% cotton is a fabric that is highly breathable, which helps to remove and absorb body moisture, drawing heat away from the skin and keeping the body cool and dry. Imagine, no more stinky school uniforms (and kids) after school! Pure cotton has high tensile strength which makes it less likely to rip or tear easily, making it strong and durable. So that means, as long as our little ones don’t experience growth spurts too often, these uniforms will last longer, saving you money! Who couldn’t use a few more dollars in our pocket? Would come in handy when you need that extra cup of coffee (or bottle of wine) during the school holidays! At School Pride, we stock 100% cotton polo t-shirts in a variety of different colours that you can choose from that best matches your child’s school colours. Browse the options here and contact us if you have any questions or would like to request specific colours. Starting school is a scary time for all of us parents and our little ones. But there is an extra layer of anxiety and fear when you know that your child has life-threatening allergies that you cannot protect them from. I can’t say that the fear and anxiety will ever go away. But I can tell you that you are not alone and as long as we keep advocating for our children, doing the best we can, and help to increase public awareness, we will be okay! Do you have any other tips to share? Some incredible allergy-friendly recipes that you think we have to try? I would love to hear from you in the comments!